If you’re a parent, you’ve probably come across ongoing debates regarding the term “organic” and what should go into your child’s body. But, what about organic versus non-GMO? A recent study from Perrigo Nutritionals revealed that more than half of moms didn’t know that organic is inherently non-GMO. No use of toxic pesticides or chemical/synthetic fertilizers. No use of antibiotics or synthetic hormones, artificial flavors, colors or preservatives. Support for organic farming practices and animal health and welfare. Regulated by the federal government under the USDA. “It’s important to understand the difference between these labels so you can make the right nutritional decisions for you family,” says Jessica Turner, best-selling author and founder of the Mom Creative blog. Looking beyond the non-GMO label doesn’t have to be an all-or-nothing approach, especially since purchasing all organic can add up. As a mother of three, Turner believes the following products are worth the extra splurge for organic instead of just non-GMO for your child. As a child starts eating solids, many organizations recommend going organic when it comes to the “dirty dozen,” such as apples, bell peppers, peaches, etc., to avoid pesticides. Purchasing baby food? Make sure you look for the USDA Certified Organic label, not just a non-GMO certified label, to avoid all those chemicals. Milk is a nutrient powerhouse when it comes to your child’s nutrition with vitamin D, calcium and protein, but it can sometimes contain not-so-good ingredients. Organic milk brands have no antibiotics, synthetic hormones, toxic pesticides or GMO anything. Going organic also supports a better life for the cows since they have access to pastures. The Perrigo Nutritionals study said 43 percent of moms purchased organic foods for their babies when they started eating solids, but only 10 percent purchased organic infant formula. So why not choose organic for your baby from the very beginning? Choosing organic brands may be worth the extra investment since it will ensure you are avoiding pesticides and hormones. 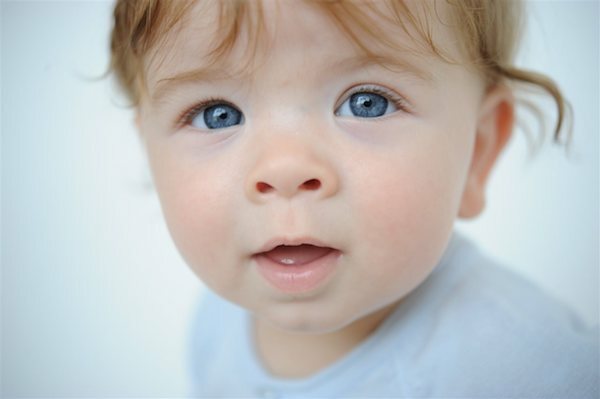 Skin care products, like lotion, diaper cream, shampoo and soap, are being absorbed into a baby’s bloodstream. Since their skin is more porous than adults’ skin, products from organic/natural lines may be worth the extra splurge to ensure your child is being exposed to the fewest chemicals. At the end of the day, if you’re not sure, err on the side of buying organic since organic is always non-GMO, plus more. For more information on organic versus non-GMO, visit www.choose-organic.com.